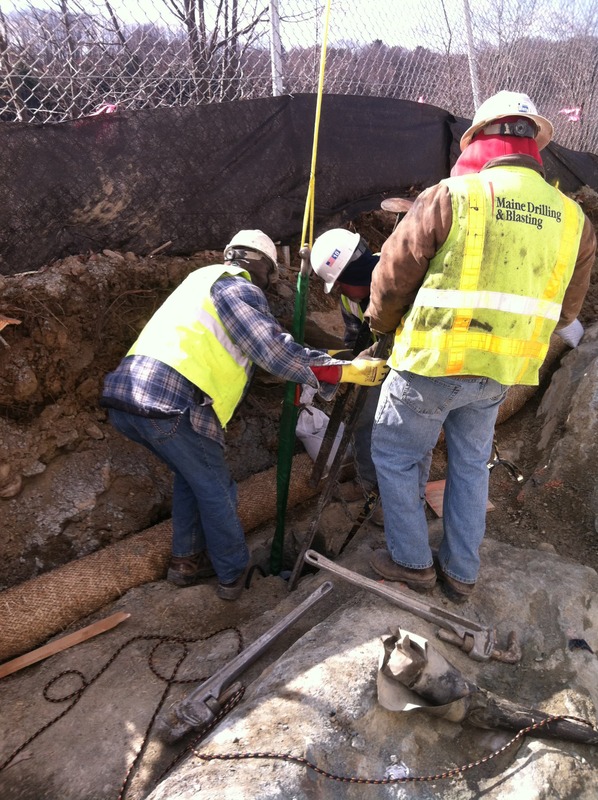 To stabilize a deteriorated ledge cut beside Maine Central Railroad's active tracks. 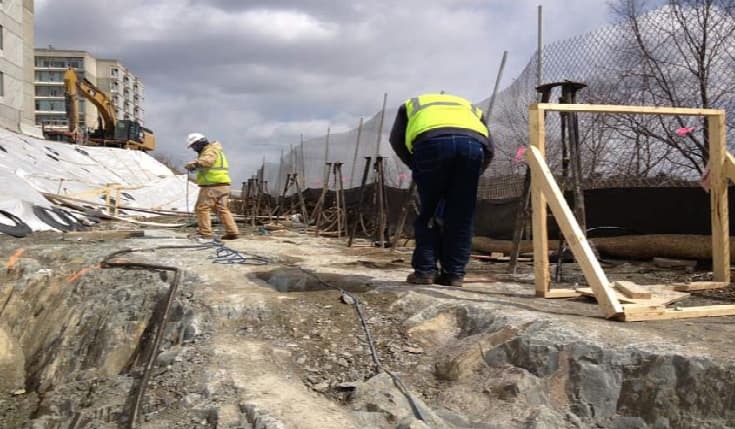 The rock reinforcement enabled the construction of a 30 + foot retaining wall atop of the ledge cut. The structure expanded the hospital densely build out campus for further development. The hospital buildings were situated as close as 20 feet off of the top of the rock slope and created one-sided equipment access to the 700-foot long retaining wall subgrade. The sound rock surface was to be prepared in stepped benches prior to vertical reinforcement using 1' and 1.75' 150 ksi galvanized dowels. The project was built from the far end back, requiring alternating rock step excavation with doweling and still maintaining equipment access on the tight sliver of land. 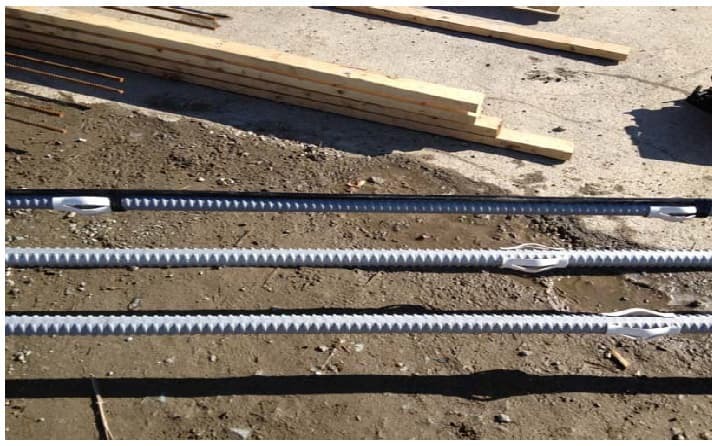 The design of the reinforcement also required isolation of the dowel heads from the footings to avoid point loading. 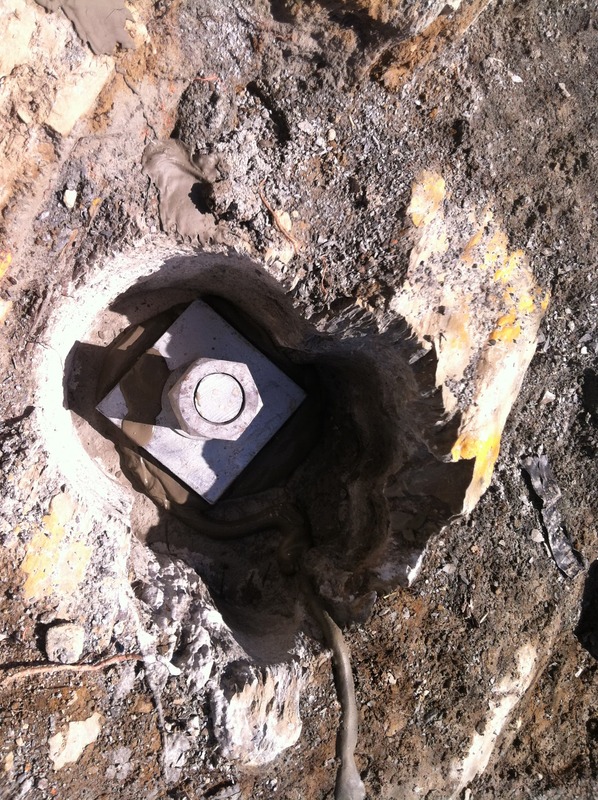 This was achieved by counter sinking the assemblies in 12' rock sockets. After the sockets were backfilled with cement grout, you never know they were there. With a good plan and versatile drilling equipment, a job everyone expected to be completed in 7 mobilizations (100 feet at a time for access) was completed in half the mobilizations, keeping all trades more efficient. 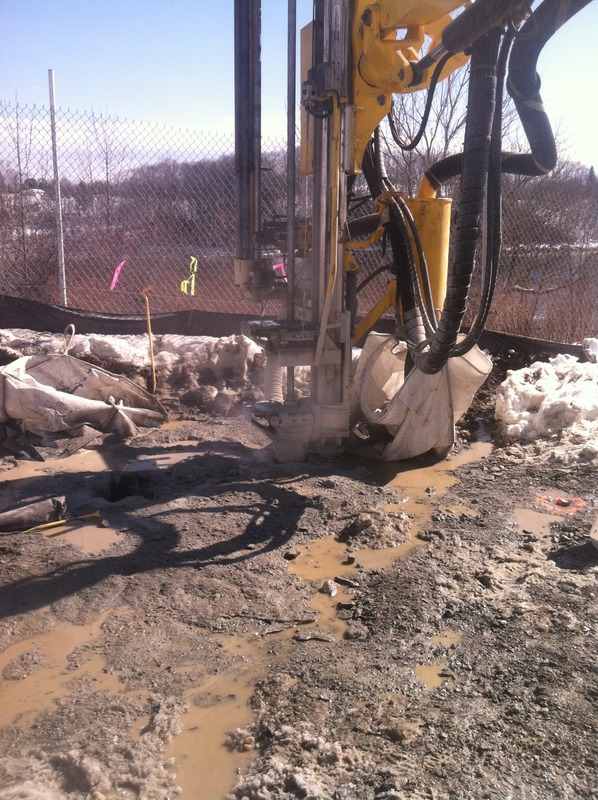 Maine Drilling & Blasting worked diligently on Str. 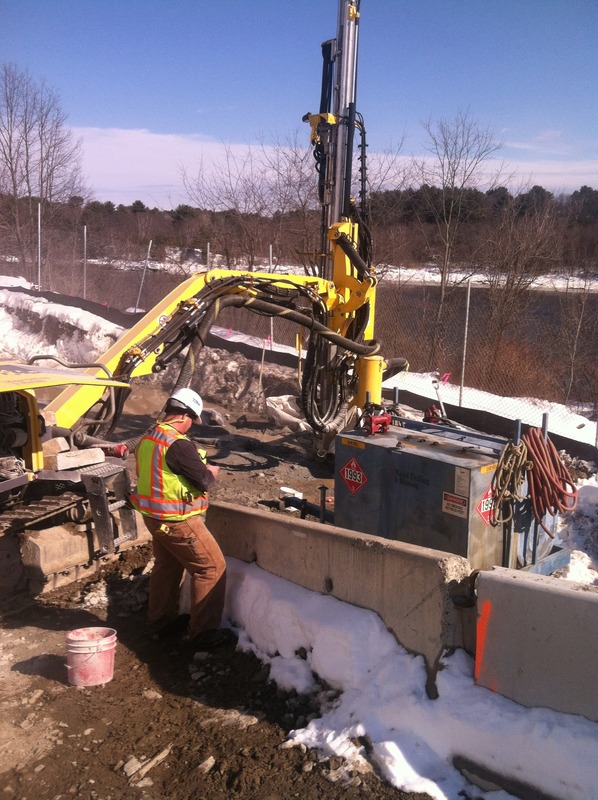 45 on Section 254 trying to install threaded rod rock anchors 30+ feet down through a boggy soil next to the Sheepscot River. This structure was an extreme environment due to the unstable nature of the bog area that could start to thaw if the temperatures were right. 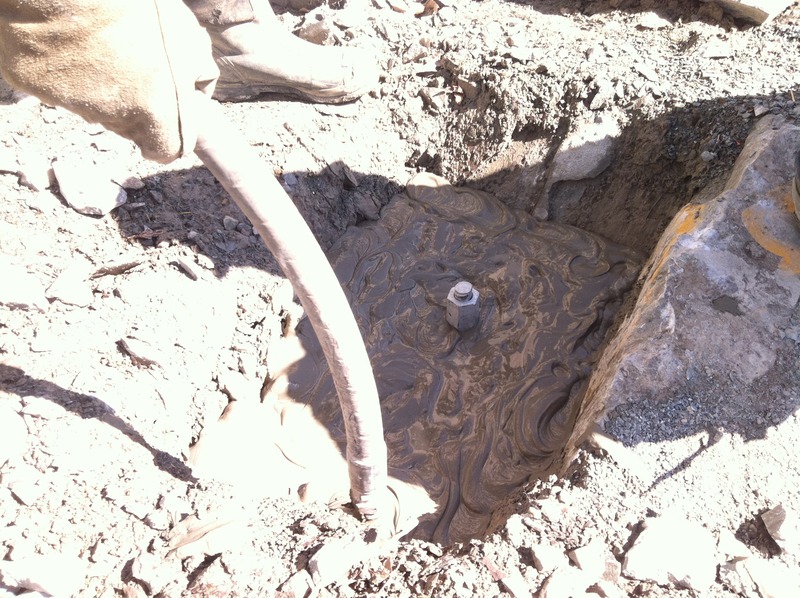 They worked for 2 weeks on this structure, digging and breaking pipe and leaders while drilling these anchors. 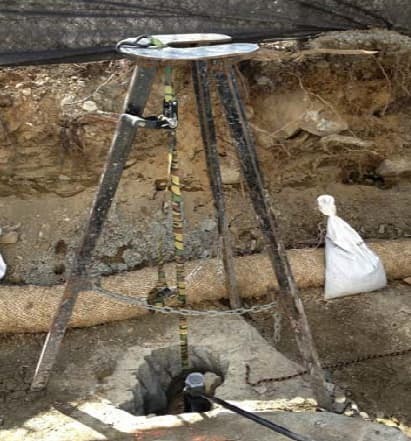 They worked a lot of hours to ensure that these anchors were completed by the time LEM was ready to pull in our leadline for the wire. MD&B was able to complete this task to stay ahead of the LEM's construction progress and install them to specification. But most importantly, they installed these anchors safely. 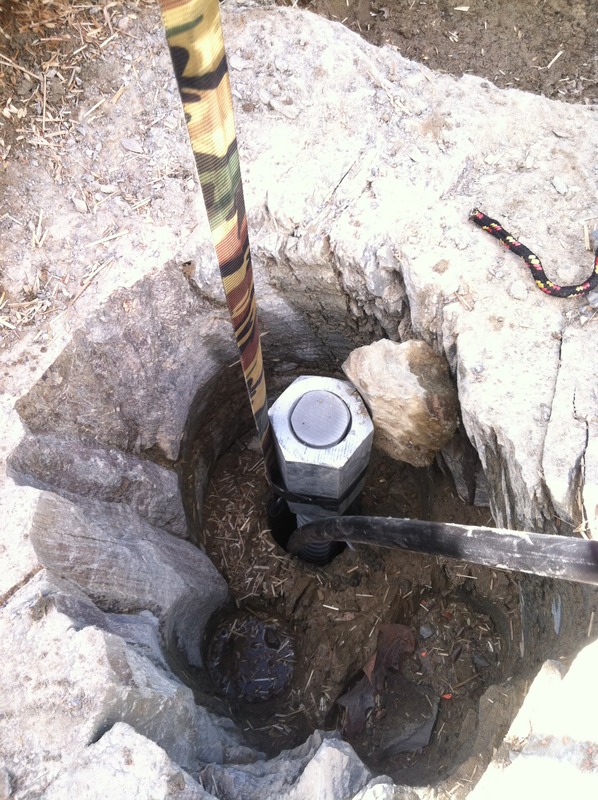 It was a complicated area with some hazards of matting and unstable soil conditions. We truly appreciate Maine Drilling's hard work and non-stop commitment to completing these anchors successfully, on-time, and safely. We wouldn't be making the progress on the MPRP Norther"